With close to two years of planning, procuring grants/funding and fighting through city legal red tape, East Los Angeles Community Corporation has taken the initial steps in making the Wabash Recreation Center a family park that is safe, clean and not full of gang bangers. 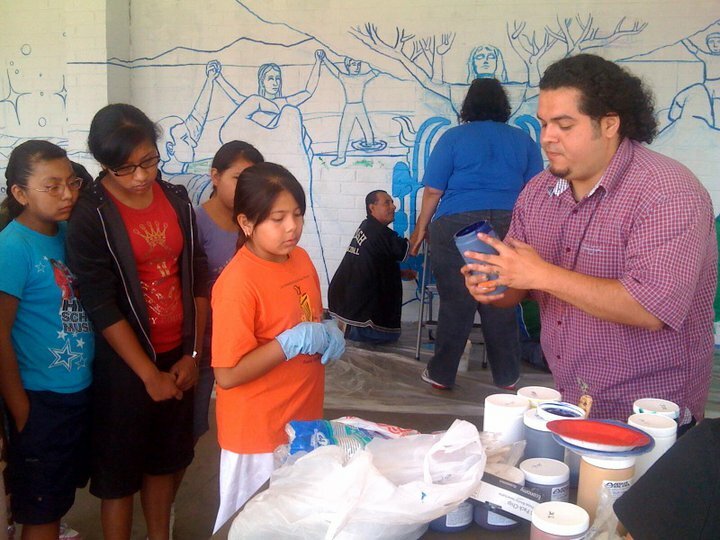 Both a community clean up day and a mural painting session were held Saturday July 24, bringing out Boyle Heights residents, families and kids in full force. Through the various grants ELACC was able to attain, improvements to the sites facilities have begun, such as installing new basketball courts, bringing in new bleachers and general baseball field improvements, along with a new mural designed by ELACC’s Wabash committee and designed by local east side artist Wenceslao Quiroz.